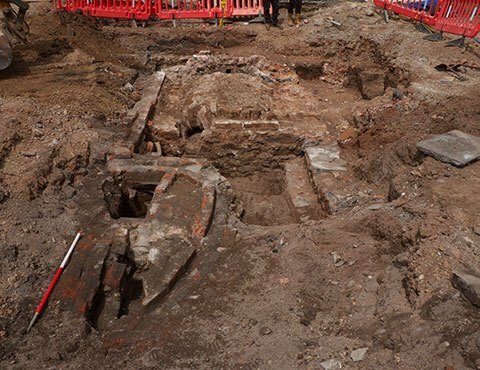 During our renovations at Redcliffe Parade, our archaeology team have been busy at work. We know that the town houses at Redcliffe Parade West were built as residential dwellings back in 1768, but since then, they have had a multitude of uses, including a school, a draper’s shop, and other commercial businesses. The solid broad wall to the left of this image is built of sandstone, with no mortar, and is most likely a garden boundary dating back to the 1760’s. The thinner wall to the right is brick with an ashy mortar typical of the Victorian period. During their 200 years of use, the gardens of Redcliffe Parade would have been continuously adapted and redeveloped to suit the needs and wishes of the residents. 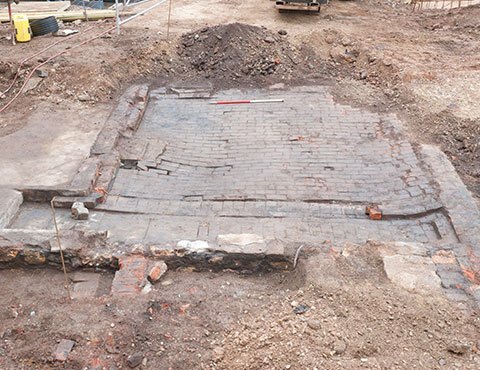 The result can be an elaborate network of overlapping and adapted features as you can see in this image.Here are the remains of an outbuilding, probably a 19th to 20th greenhouse. 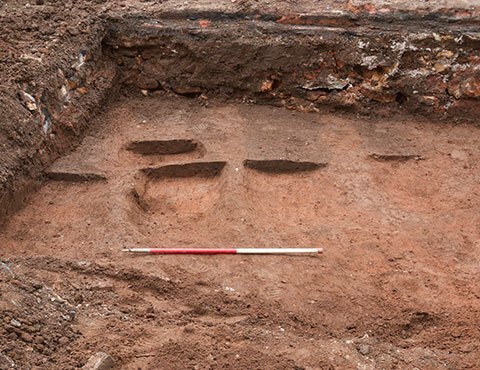 Narrow grooves in the brickwork suggest possible slots for a wooden framed structure. Although these partially excavated features are hard to see (darker linear shadows amongst the redder natural soils), they are quite interesting archaeologically. Little is known of the use of the Redcliffe area before the building of the Parade in the later 18th century. 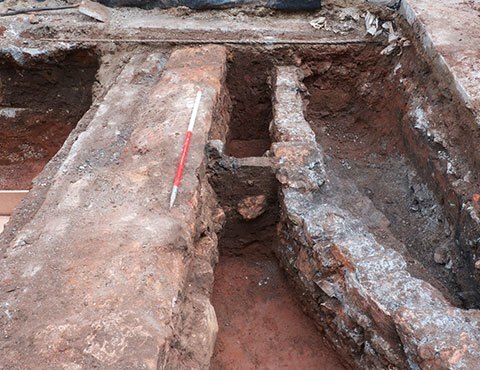 The finds from these linear features buried deep underneath the garden walls indicate a late Medieval date – we have found green glazed pot, most typical during the Tudor period. It opens a small window into the likely agricultural activity in the area which would have lain just outside the bounds of the Medieval City of Bristol. With thanks to LP Archaeology.